When the subject turns to the death of Princess Diana, 20 years ago today, Aug. 31, 1997, two memories stand out. The first is the manner I learned of the accident: from the Sunday New York Times, which was delivered in our breezeway on Pine Grove Avenue. Old school, even back then. We had a newborn, two months old, our younger son, and didn't watch TV or listen to the radio that evening. We weren't as plugged in, could go hours if not days without dipping a toe in the sloshing oceans of news. Nowadays, you can't have a moment downtime, waiting for the elevator doors to open, without whipping out your phone and dipping into the constantly running river of information. Back then, I clomped out the back door, scooped up the fat paper log of a newspaper, stripped off the plastic, and saw a short, early bulletin, squeezed into a column on the front page, that told only of the auto accident in Paris. I went inside, clicked on the TV; the grim music and somber tones immediately told me she was dead, even before I heard words confirming it. The second was a few weeks later, during the paroxysm of scorn for the media that follows. A photographer pal of mine, Bob Davis, and I were returning from a story when we happened upon a bad car accident in the Loop, on Wabash Avenue. A woman pulling out of a parking lot had run down a group of pedestrians. As Bob raised his camera to record the carnage, one of the on-lookers, rubbernecking for a view, some businessman, held up his yellow legal pad, blocking the lens, snarling something critical of the jackal pack media. The irony of that moment stung and lingered. Here was a guy trying to do what? See what had happened. And while in the very act of trying to do that, he instinctively lunged to stop everyone else from seeing what happened. Donald Trump might skate along on hypocrisy but he sure didn't invent it. My column was still weekly, so naturally, writing a week after the event, I sidestepped the death itself and focused on what was most recent, the queen's speech. I was genuinely revolted by the public reaction to Diana's death: the wallowing in sentiment, the hyperventilating exaggeration, the overwhelming bathos, the bottomless hunger to pry into the inner lives of those we feel we own. With all the sympathy and tears—much of it, no doubt, genuine—expended over the tragic death of Princess Diana, I hope you'll forgive me if I whisper a kind word about the villains du jour, Prince Charles and his mother. Perhaps I am stone-hearted. But I was far more interested in what Queen Elizabeth, pushed by public pressure in front of the TV cameras months before her usual day, had to say Friday than I was in witnessing Diana's funeral, the four-hankie culmination of this week's extraordinary worldwide keening. Would the queen, bending to the public craving for self-exposure, stoked to a white hot flame by the cheerleading British media ("SHOW US YOU CARE!" a headline demanded) drop 50 years of carefully manicured public decorum and break down, cry, give us a show, sing the old Bill Clinton standard, "I-feel-your-pain; you-feel-my-pain; we-all-feel-each-other's pain"? That was what the mob seemed to be howling for. Or would she—as I so fervently prayed—be true to herself, maintain the reserve that was once the very definition of royalty, perhaps slipping in a bit of pique? Stare boldly into the camera and say, in a properly icy tone: "How can you bloody pack of bloody jackals condemn the paparazzi out of one corner of your mouths while yapping for my son to go on the BBC and read a love poem to his dead ex-wife out of the other? How dare you?" Or would she, unaccustomed except at Christmastide to talking to an audience larger than a brace of corgi dogs, sleepwalk through a pained yet Buckingham-Palace-polished chin-up attempt at damage control ("I believe there are lessons to be drawn . . ." she said), lobbing a few shovelfuls of beach against the rising tide of ever-cheapened sentiment? That was easy. Door No. 3. And of course CNN immediately cut to the throng outside the palace, to pull a few average citizens aside to give the thumbs down on the performance. "Not enough?" Isn't Rule No. 1 of etiquette that the parties most affected get to act however they like? That it's cruel to judge Mr. Widower for not crying at his wife's funeral and rude to express that judgment? And the really galling thing is that we're using the same cudgel that killed Diana to pummel her survivors. The public has no more right to know how Queen Elizabeth felt about the death of her former daughter-in-law than it did to see how Diana looked working out in her leotards. Those two interests spring from the same desire. The same demand that public figures—movie stars, political leaders, royalty—not only perform their jobs, but act as a sort of surrogate pal and fetish object to the body politic. Why should Charles—a reticent, solemn man who can't state an opinion without being mocked as a twit— suddenly be expected to spout his deepest pains on command, like a trained seal? Why should the queen suddenly be requested to emote like a diva? It's bad enough that people started lining up along the funeral route three days early, as if they were camping out in front of Dorothy Chandler Pavilion before the Academy Awards. "Not enough"? It's already too much. Diana, in declining to act royal, in refusing to adopt the remoteness that the queen and Charles are unable to shed, might have built up a cult for herself, but she succeeded in pulling the royalty down to a state of low regard unequaled since the Roundheads were chasing the first Charles across the countryside. Maybe that's a good thing. Maybe royalty is bad, and the sooner it is retired, the sooner we can march off to whatever brave new world awaits us. We lie to ourselves that we loved Diana because she was so good, for her causes. But people didn't love Diana for her causes—we ignore causes. We scorn charity. Bor-ing. Except in the case of people like her, when causes are an excuse. How else to have parties? Unless it benefits AIDS or cancer or something, a masked ball is just decadence. People follow royalty for the same reason they play the lottery: wish fulfillment. Aren't we so interested in the royals for the very reason that the closest most of us will ever come to wearing a $ 200,000 ring or having tea and crumpets with the queen is to read about it, or to gape at it on TV? To suggest that people follow royalty for the good works they do is like saying that people play the lottery, not to spin dreams of wealth, but as a convenient way to contribute to the state's educational fund on an anonymous, weekly basis. So pity poor Charles and pity the queen. The reserve and decorum that seemed merely stiff before Diana will now appear inhuman. The only thing worse than remaining how they've always been would be to change—for Charles to start hanging out in nightclubs, joining conga lines with supermodels. For the queen to be photographed painting her toenails. Maybe that's next. God save the queen; God save us all. People mock Chucky as a twit, because he is a twit! Only a twit would said that the Luftwaffe did less damage to London than modern architects, but Chucky the winner of the Upper Class Twit of the Century said that! I read the phrase "overwhelming bathos" and was all ready to pen (well, thumb) a comment pointing out the typo...surely you meant "pathos". Then, remembering your fondness for the word less traveled shall we say, I looked up "bathos" and...today I learned a new word. Thanks Neil! I learned what "bathos" means years ago when reading an account of Douglas MacArthur's "Old soldiers" speech to Congress, which was perfectly bathetic. Poor Diana; tabloid deity. Kept in a jar on the mantel, victim of the vicarious masses who didn't bother to poke holes in the lid. I was fretting over punctuation and awkwardness in general until I realized it isn't a paragraph, it's a poem. Allow me this do-over. Someone once wrote to Miss Manners, aka Judith Martin, aka an underrated national treasure, complaining about how reporters dare question survivors of an accident, with this closing note of indignation: "How do you think people in that situation feel?" Miss Manners' reply was typically droll and perfect: "That is what the members of the press are trying to find out for you." Call me contrarian, but I’m much more a fan of Prince Charles than I was of Diana. I don’t mean I look up to him exactly, but I find him a lot more sympathetic. Unlike Diana, he didn’t choose to be in the British royal family. He was shipped off to a perfectly ghastly boarding school in Scotland where he was ostracized and beaten, apparently because the other little shits wanted to show how tough they were by pushing around the future king. At age 68, he’s been Prince of Wales longer than any other. And his attempts to do something with his life besides waiting for his mother to die have been met with nearly unmitigated ridicule. As for Diana, according to a new bio of Charles, she abused him verbally (and sometimes physically) during their marriage. Yes, it's tragic how she died, but I never could get beyond thinking of her as basically a spoiled brat. If Charles’s luck remains what it has throughout his life, he’ll die six months or so after his mother does. 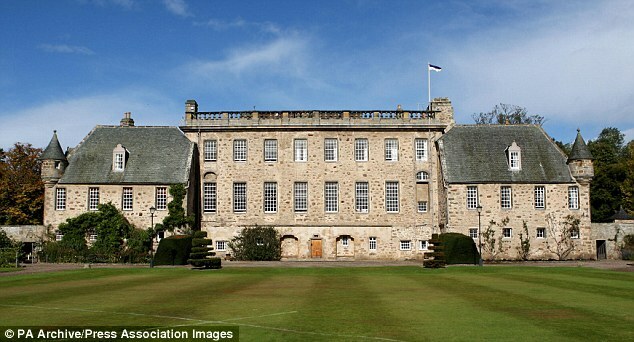 From what I've read, there's nothing ghastly about Gordonstoun, where Prince Philip sent Chucky off to school. He apparently wanted to toughen him up, as he was something of a wimp. As for Diana abusing Chucky, considering he cheated on her from Day One, I can't blame her one bit! And most of what he's done as an adult, other than his military service, which was exemplary, has been an unmitigated disaster, such as the appalling Luftwaffe crack I referred to earlier! "Toughen him up" by delivering him into the hands of a bunch of bullies. Nice. One more reason I think Prince Philip is insufferable. Nothing ghastly about Gordonstoun? Try looking at pictures of the place sometime. It looks like a medieval prison. I don't know how you know he cheated on her "from Day One." Cheat on her he did, certainly, after she turned out to be a complete fluffbrain and it was clear they were utterly incompatible. He sought solace in the arms of his first and only true love. Not exactly exemplary, perhaps, but all too human. It's public knowledge that he was cheating on her form Day 1. He was in constant contact with Camilla their entire marriage. Phillip was a bully to many a person. Yeah, a fine column. I felt that way then and now. The movie "The Queen" does a nice job of portraying how blind-sided the royals were by the nature of the grief expressed by the British hoi polloi as events unfolded that terrible week. Who bought all the Daily Mails and People magazines and whatnot, desperate to follow her every move while she was alive? The same folks who were the ones most upset in the aftermath of her death. The fact that they didn't seem to realize nor care that their insatiable curiosity about her had essentially employed the photographers who hounded her is sadly ironic. 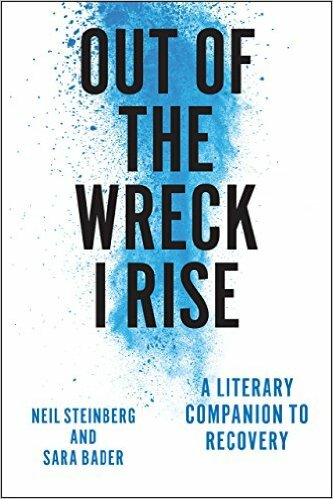 "The first is the manner I learned of the accident: from the Sunday New York Times, which was delivered in our breezeway on Pine Grove Avenue. Old school, even back then." When I think of Diana, I'm reminded of Elton John's "Candle in the Wind"; the tribute to Marilyn Monroe renamed for Princess Diana, "Goodbye England's Rose". They're both quite alike in how publicity hounded them throughout their lives, both dying young. As for the British royals, I imagine it was hard to be controlled by the message rather than controlling it. But, they shouldn't have been offended. What are they but public relations employees for the United Kingdom?